He was turned over to our group recently. 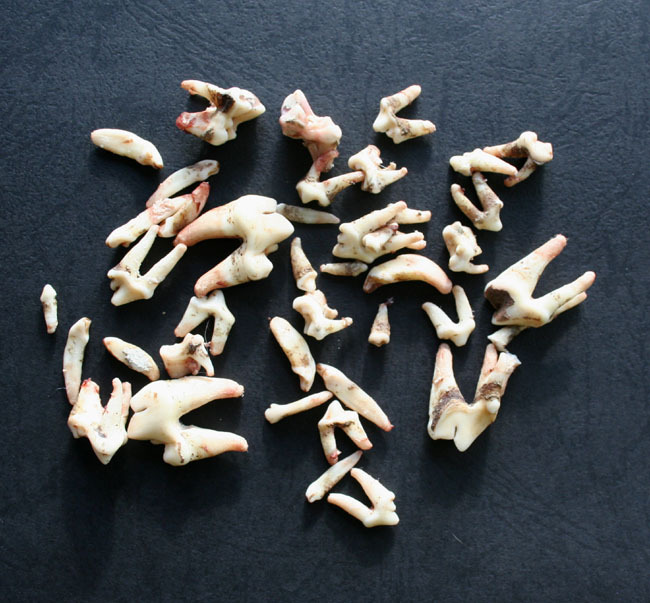 This is what Quincy’s mouth looked like when he was turned over to us. This is a photo of Quincy’s teeth; they were in his mouth until recently. Quincy is a perfect example of what happens when an adopter does not take the time to take care of his greyhound. 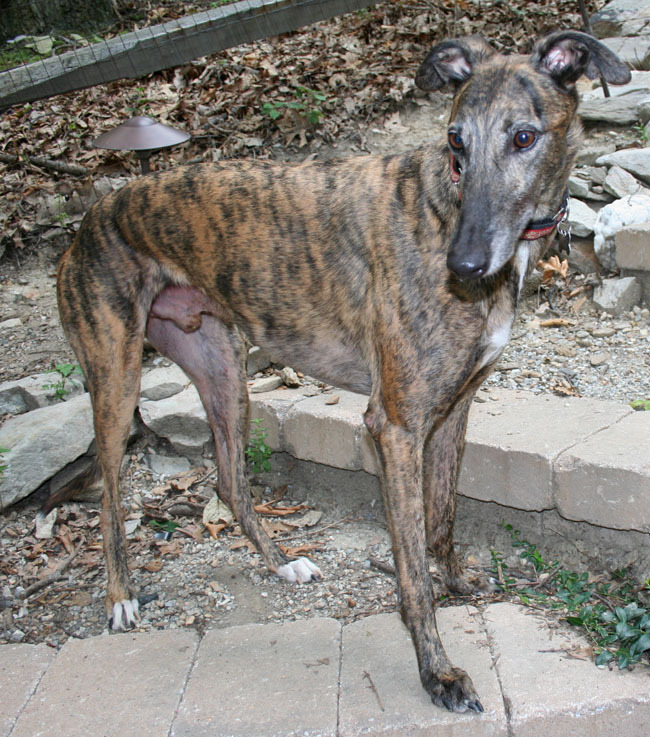 When we took Quincy in, we were told that his teeth were “normal for a greyhound.” We didn’t question much. All we wanted was to bring him to our group and help him after his adopter asked us if our group would take him. When we took him, it only took one minute to smell the horrible breath coming from Quincy. When we looked into his mouth, we were sick. We could tell by the black tartar and the shrunken and red gum line that this dog was in trouble. We immediately made an appointment with our vet and within two days, Quincy was getting his dental. We knew that it would be bad. But we were sick and shocked to learn that Quincy lost all but four teeth! Quincy is six years old and he had been in his home for three years. We don’t know why his adopter was able to overlook the obvious. We know from what our vet told us that Quincy had to have been in a lot of pain for a long time. He drooled constantly which was how the mouth tried to compensate for the pain. He also took a long time to eat. He had to have felt immense pain each time he tried to eat. His teeth were not “pulled”. They popped out of his mouth when the tool the vet used for cleaning off the tartar was used. Only three of the larger teeth actually had to be pulled. 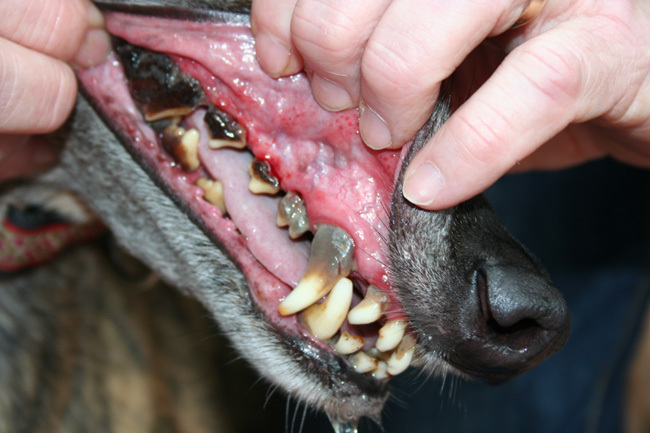 PLEASE take the time and make the effort to keep your hound’s teeth clean. Find ways to keep the teeth free of tartar. If they don’t like having their teeth brushed, find some other way to clean the teeth. There are products on the market that will help keep tartar from building up. Save the money for a dental. Yes, dentals can be expensive. But, what is the cost to the dog? How costly is it to watch a fairly young dog lose all but a few teeth in his mouth just because someone didn’t take the time or want to spend the money to keep his teeth in good shape? How much time and effort would it have been to prevent what happened. Maybe it would have happened anyway. 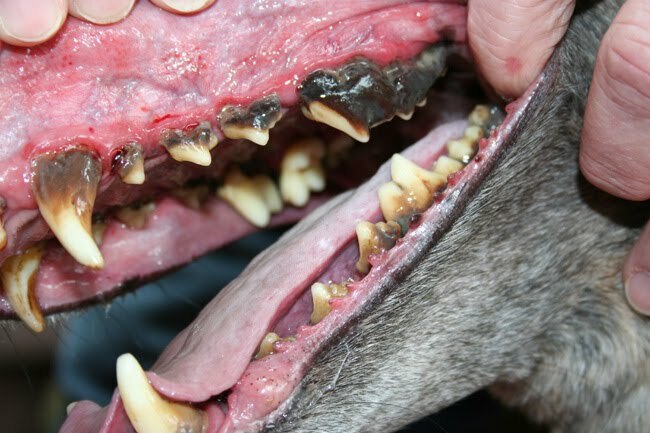 Yes, some greyhounds have bad teeth. Some are prone to having problems. Blame it on genetics, etc. That is not the point. It is no excuse for a dog to suffer pain. Bad teeth can cause many other medical problems. If Quincy could talk, we are sure that he would be pleading for every person who has adopted a greyhound to do the right thing. His mouth is healing quickly because those teeth were ready to come out. He is happy and healthy now and has a great appetite. He won’t ever be able to chew on the bones he picks up but he’ll find some enjoyment from carrying them around. He will miss out on some things a dog loves to do. But he’ll be OK. And no thanks to the person who was given Quincy in return for a promise take care of him.